The CHL MasterCard Memorial Cup tournament is scheduled to start Friday in Quebec, in which the best teams from the three CHL leagues across the country will vie for the title of Canada’s best junior hockey team. Aside from the IIHF World Junior Championships, the Memorial Cup is the most entertaining and pressure packed tournament many of these teenagers will experience in their hockey careers. It’s also a chance for prospects to put themselves on a team’s radar or improve their draft stock with a good performance. The four teams competing are the Kelowna Rockets (WHL), Oshawa Generals (OHL), Rimouski Oceanic (QMJHL) and the host Quebec Remparts. The Remparts were a Game 7 OT goal away from winning the QMJHL title in addition to being the host team in 2015, so they are legitimate contenders in their own right. They have also also beefed up in the second half of the season getting sniper Anthony Duclair back from the New York Rangers and acquiring big name junior talents in goaltender Zach Fucale and forward Vladimir Tkachev before the deadline. The Remparts top line of Anthony Duclair–Kurt Etchegary–Adam Erne is one of the best in the nation and can give the best defenders trouble. They also have incredible scoring depth past them in forwards like Tkachev, Guillaume Gauthier, Marco Roy and regular season leading scorer Dmytro Timashov. The may give up more goals than the other three teams in the tournament, but they also have the best goaltender of the bunch in Fucale. The best team from the Q, the Oceanic feature a veteran, experienced lineup. Their top players are perhaps less heralded than those on other teams, but are no less dangerous. Offensively they are led by experienced forwards Alexis Loiseau, Anthony DeLuca, Michael Joly and Chris Clapperton. Of the group only Clapperton, a 5th round pick of the Panthers, has been drafted but they are all QMJHL veterans who have enjoyed success and should not be underestimated. The more high profile names on the team go to Frederick Gauthier and Samuel Morin who are first round draft picks of the Leafs and Flyers respectively. Both players are coming off a gold medal at the World Juniors for Canada and will play pivotal roles for Rimouski in the tournament. Both players are huge, Gauthier (6’4”, 215lbs) and Morin (6’7”, 225lbs) and play a physical game. Gauthier is also an excellent penalty killer and faceoff man, which are invaluable in a short tournament. Goaltending has the potential to be a strength or weakness for the Oceanic. 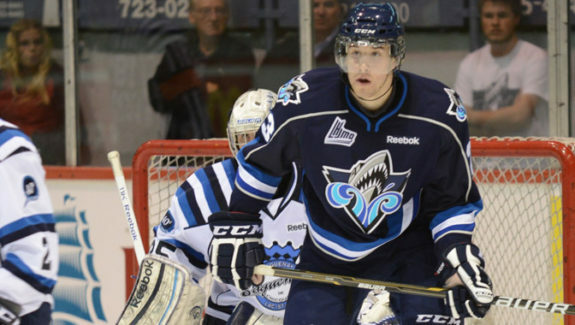 They have one of the QMJHL’s best in Philippe Desrosiers, however he has struggled in the playoffs and has already lost playing time to backup Louis-Philip Guidon. Rimouski will need him at his best to compete. 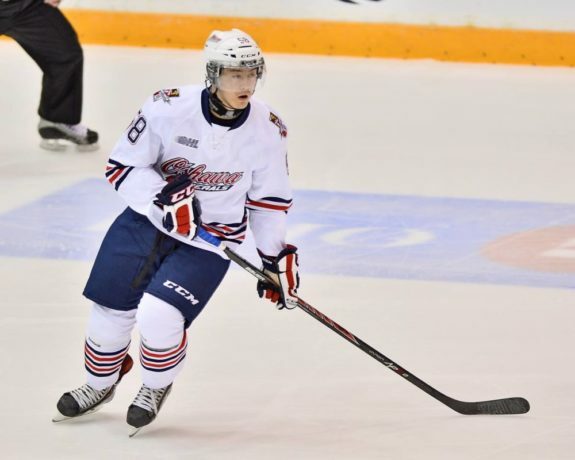 The Generals earned their way to the Memorial Cup by way of defeating Connor McDavid and the Erie Otters in the OHL Championship series. Many fans as well as promoters were no doubt hoping for the Otters and the marketing opportunities it would present with McDavid coming to Quebec. The fact is though, the Generals were a better team and deserve to be in the tournament. Oshawa has a very big and physically imposing team. They love to play the body and more often than not would rather go through opponents rather than around them. They have great size and depth up front led by Islanders first rounder Michael Dal Colle. They also have a good mix of skill forwards like Cole Cassels, Matt Mistele or Bradley Latour, to go with punishing power forwards like Michael McCarron, Tobias Lindberg and Hunter Smith. On defense, the overage shutdown pairing of Josh Smith and Dakota Mermis will go up against the other team’s top line, while they are led offensively by draft eligible Mitch Vande Sompel who averaged over a point per game in the regular season. Undrafted Ken Appleby hasn’t been a huge story in the playoffs, but maybe he should be, as he has posted very impressive numbers thus far. While the Generals love to impose their will physically, they will have to temper their emotions and be wary of staying out of penalty trouble to be successful. The Western Canada representatives, if there was a tournament favourite, it would likely be the Rockets. A team that scores and defends equally well and has plenty of star power, the Rockets will be a very tough team to beat. They boast the best tandem on the blueline by a fair margin in gold medal winners Josh Morrissey and captain Madison Bowey who can both defend and lead the rush offensively. They also have arguably the best individual player in the tournament in Oilers draft pick Leon Draisaitl, although that seems to be debated depending who you talk to. The Rockets loaded up their top line late in the WHL playoffs putting Draisaitl between Rourke Chartier and Nick Merkley and the results have been impressive. They don’t need Jackson Whistle to be spectacular in net, but simply solid and consistent to be a threat.